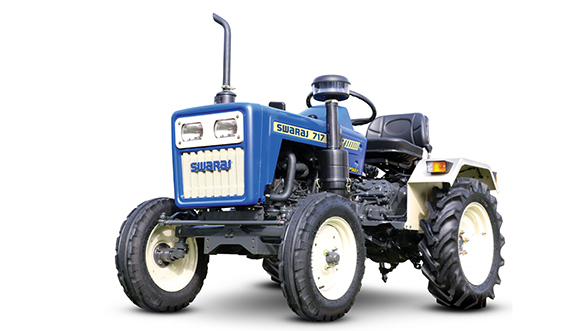 Swaraj Tractors a division of the USD 20.7 billion Mahindra Group and is India's second largest and fastest growing tractor brand. Swaraj group has now launched a new mobile app called the Mera Swaraj App for the farmers in India. The company states the new mobile app will allow its subscribers to receive services such as door step service, stand by tractors and fixed day fixed location service events. The Mera Swaraj app is currently available in ten languages that should cater to the company's diverse consumer base across the country. The mobile app provides a unique platform that allows the integration of customers with both, their local dealer and Swaraj Tractors. "Today our customers have a personal connect to the Swaraj brand referring to it as "Mera Swaraj". This is because of the reliability and service provided by our dealers who have been our partners all along. With this mobile App, we will further strengthen our unique bond with our customers by allowing them to access our products and services and give us relevant feedback. We will soon integrate more services features, making this app a one stop shop for Indian farmers and tractor owners" commented, Viren Popli, COO, Swaraj Division. The Mera Swaraj app will be offer a Swaraj Services section that helps the customer to schedule a service and rate the dealer online. The Naya Swaraj option provides information on new products including tractors and implements. This section will also have brochures and videos of all products. This section also helps the customer book a slot for tractor demo. The event near me function would notify the customer about sales and service camps and agri-events happening near the location of customer using GPS technology. The DIY section will provide access to Do it yourself videos for self-maintenance of the tractors.